After successful launch of Hyundai Grand i10 in Indian car market few weeks ago, Korean car maker Hyundai Motors is speculating to launch few more new models in Indian car market in coming months, and this time it will be Santa Fe Sports Utility Vehicle, which is speculated to be launched in Indian car market in coming next months. According to reports with this launch Hyundai speculates to strengthen its position in SUV segment of vehicles in Indian car market. It would be important to mention that although the existing model of Santa Fe, did not succeeded in dominating the SUV market in India but it succeeded in taking the award of SUV of the year 2011 from Business Standard Motoring. It is equipped with 2.2 litre engine that churns the power of 195 bhp. 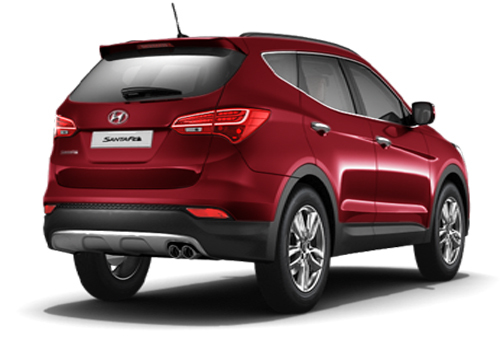 According to industry experts the facelift Santa Fe will carry the same engine configuration. The new features introduced in facelift include projection headlamps, rear combination lamps, stylish side repeater and twin exhausts. It is speculated that this time facelift Santa Fe will emerge as tough contender to Fortuner from Toyota, Endeavour from Ford, Captiva from Chevrolet and CR-V from Honda. It is also rumored that Santa Fe will brought in Indian car market through completely knocked down (CKD) route. During recent time Indian car market has witnessed huge demand in SUVs as it can be witnessed from response received by Duster from Renault, EcoSport from Ford, Toyota Fortuner, and Ford Endeavour are few established names in SUVs. 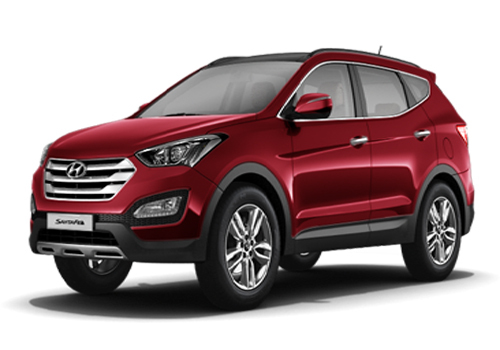 However, at present Hyundai’s Santa Fe do not match to them but now with facelift Santa Fe Hyundai wants to make its presence in SUV segment. It is reported that company might unveil facelift Sante Fe during Indian Auto Expo 2014. To know more about features available in existing Santa Fe, read here.